Football fans around the world continued their mockery of Germany today as their players prepared to fly home from the World Cup in Russia. Supporters of rival teams watched in amazement yesterday as the usually-all-conquering team crashed out of the competition with a 2-0 loss to South Korea. And as fans woke up to a World Cup without the holders this morning, the mockery online continued. 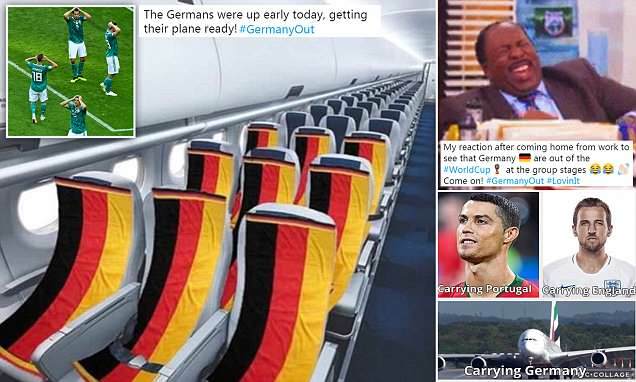 Others mocked up photos of German towels on aircraft seats, a reference to the popular English joke that Germans always reserve the sun-loungers in holiday resorts.